The steady mortgage-rate decline is making purchasing a home more affordable just as the spring buying season heats up. The 15-year fixed-rate average slipped to 3.78 percent with an average 0.4 point. It was 3.81 percent a week ago and 3.85 percent a year ago. The five-year adjustable rate average dropped to 3.84 percent with an average 0.3 point. It was 3.88 percent a week ago and 3.65 percent a year ago. The National Association of Realtors said Thursday that sales of existing homes declined 1.2 percent to a seasonally adjusted annual rate of 4.94 million last month, the slowest sales rate since November 2015. During the past 12 months, sales have plunged 8.5 percent. Would-be home buyers are increasingly priced out of the market as years of climbing prices and strained inventories have made ownership too costly. Declining mortgage rates could aid buyers. Mixed economic news is putting a damper on rates. More than 84 percent of purchase borrowers and 81 percent of refinance borrowers were offered rates below 5 percent last week, according to LendingTree’s weekly mortgage comparison shopping report. Meanwhile, mortgage applications have finally started to pick up, according to the latest data from the Mortgage Bankers Association. The market composite index — a measure of total loan application volume — increased 3.6 percent from a week earlier. The refinance index rose 6 percent from the previous week, while the purchase index grew 2 percent. The refinance share of mortgage activity accounted for 41.7 percent of all applications. This entry was posted in South Salem and tagged Mortgages, South Salem Homes, South Salem NY Real Estate on March 4, 2019 by Robert Paul. Bad credit? No credit? No problem—or so, many of those all-too-catchy loan ads promise. But while you might be able to finance a used car with less-than-stellar credit, getting approved for a home mortgage when you have FICO scores dwelling deep in the cellar can seem like an infinitely steeper climb. An Everest-level climb, in fact. But here’s the shocker: It can be done, particularly if buyers know where to score a mortgage. That’s where realtor.com®’s penny-wise (but never pound-foolish) data team comes in. 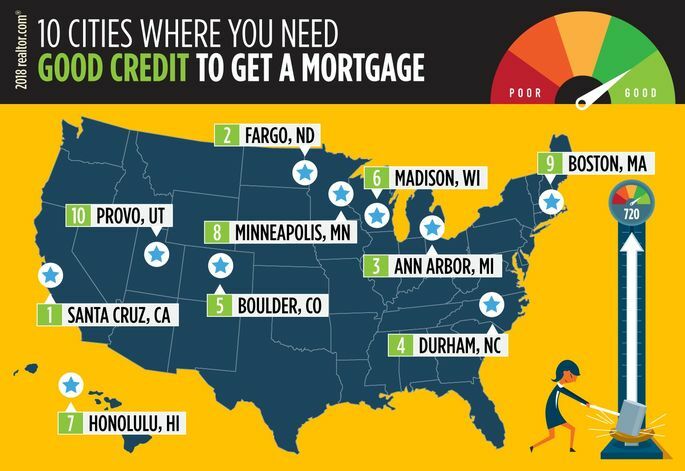 As it turns out, there are plenty of cities where a not-great credit score—say, well under 650—won’t stand between buyers and their dream home. And yet, in other parts of the country, buyers are delusional if they think they’re getting a mortgage without a nearly perfect score—and boatloads of cash for a down payment. We located the top metros for both. So how do you snag a home mortgage without an excellent credit rating? It’s largely a matter of what government loan programs are available in a specific area—and those vary substantially. The U.S. Department of Agriculture, for example, sometimes offers no-money-down loans to borrowers whose scores are below 640—but only for homes in a rural ZIP code. 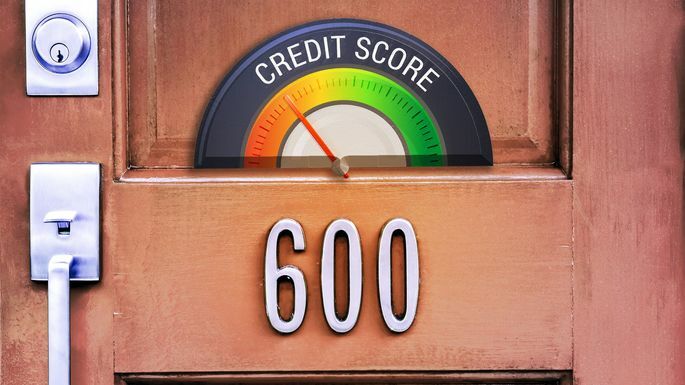 Federal Housing Administration loans, among the most popular government-backed mortgages, allow borrowers with credit scores as low as 500 to qualify with a 10% down payment. (They must have scores of 580 to snag loans that require only 3.5% down payments.) But plenty of sellers choose not to accept them if they have other offers. On the exclusionary side of the equation, home prices and market hotness play leading roles in keeping credit rating requirements high. Maybe toohigh if you haven’t been tending to your credit like a weed-free garden. To find out where credit-challenged buyers live out the American ideal of homeownership, we calculated the share of mortgages in the largest 200 metros* obtained with a 649 FICO score or lower. The share of mortgages was calculated over a 12-month period from July 2017 through June 2018. We limited rankings to one metro per state. So let’s start with the feel-good news: places where would-be home buyers with poor or downright crummy credit scores can still dare to dream! Although the state capital of West Virginia is a college town, the city’s overall population is aging. There’s been a big decline in chemical industry or coal jobs. That’s caused many folks to put their homes on their market. This has opened the door for first-time buyers seeking move-in ready, three-bedroom homes near downtown, says local real estate agent Margo Teeter of Old Colony Realtors. 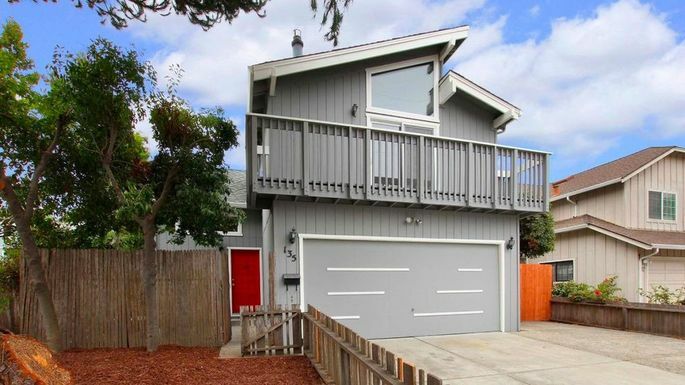 These single-family homes start around $130,000, but can be found for less. The affordable prices have led to an increase in young buyers, ranging in age from 22 to 35, who take advantage of the lower credit scores required for USDA and FHA loan programs. Most just don’t have the credit history or scores to get into other kinds of more traditional loans, says mortgage banker Joey Starcher of Victorian Finance. 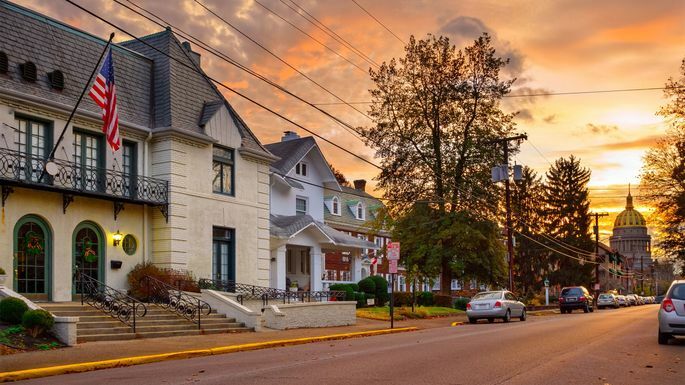 This quiet, family-friendly town along the Kentucky border is best known as the home to the U.S. Army base Fort Campbell. (It’s also just 45 minutes away from Nashville.) So it makes sense that many folks are becoming homeowners with the help of Veterans Affairs loans, which require a minimum credit score of just 620. Most of local real estate agent Laura Stasko‘s clients are scoring entry-level, three-bedroom, vinyl-sided ranch homes in suburban areas near the base. These run from about $100,000 to $130,000—a fraction of the national median home price, just below $300,000. But buyers on a budget in Clarksville, with its quaint downtown filled with older, brick buildings, stately Victorian houses, and parks, had better act fast. “Anything under $140,000 or $150,000 has been flying off the market,” says Stasko. 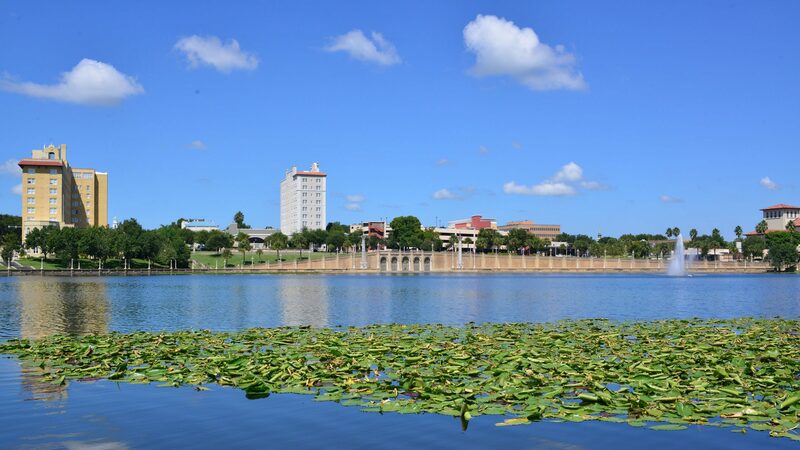 Corpus Christi has plenty of attractions for buyers: It sits on a large, shallow bay that attracts a diverse flock of water birds, songbirds, and raptors. This helped it earn the title of—you guessed it—“America’s birdiest place,” according to the San Diego Audubon Society. There are plenty of jobs in the medical, oil refinery, construction, and, with nearby tourist destinations like Mustang Island, hospitality industries. Yet the city has the fifth-lowest credit scores in the United States, with an average of 638, according to a report by Experian. That hasn’t stopped people from buying houses. Buyers can still find 1,200-square-foot starter homes for under $160,000 in desirable areas within Corpus Christi like Del Mar and Lindale, says local agent Monika Caldwell of Hunsaker & Associates. In addition to FHA loans, the city promotes multiple locally and federally funded home buyer assistance grants that help out buyers with down payments of up to $10,000. Not bad! The citrus groves and cattle ranches that used to occupy much of the land around Lakeland has been gradually overtaken by 55-plus communities and housing developments for young families. That’s because housing prices have been soaring in nearby cities such as Tampa, where they’re a median $266,250, and Orlando, where they’re $260,000, according to realtor.com data. Buyers can find new homes in South Lakeland for around $180,000, says local Realtor® John Martinez of Coldwell Banker Residential Real Estate. Older properties from the 1970s start around $140,000. To afford them, most of Martinez’s clients are using FHA loans that require only about 4% or so down of the purchase price. 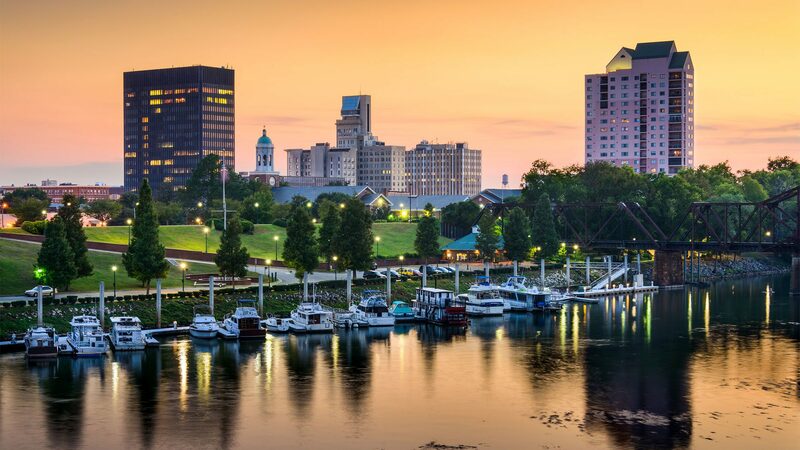 It’s easier to become a homeowner in Augusta, on the banks of the Savannah River, because home prices are just so much cheaper here than in much of the rest of the country. 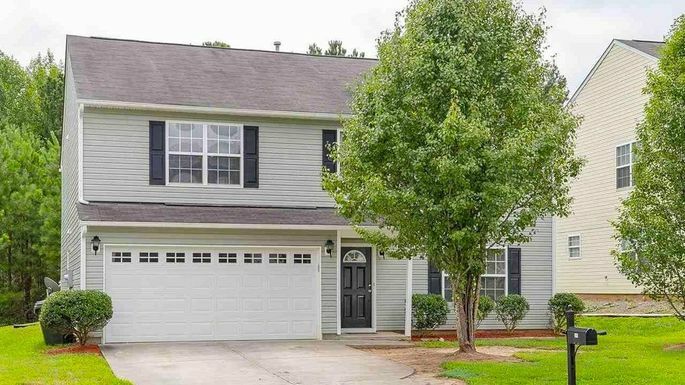 Three-bedroom, two-bathroom homes in the millennial-friendly neighborhood of National Hills, right near the prestigious Augusta National Golf Club, can be picked up for $100,000 to $150,000. That’s good news for young buyers, many of whom haven’t had the time to build a strong credit history. Local lenders offer competitive loan programs encouraged by the Community Reinvestment Act, designed to help buyers in low- to moderate-income Census tracts. Those programs require a minimum credit score of 620 and can include 100% financing for those who qualify. 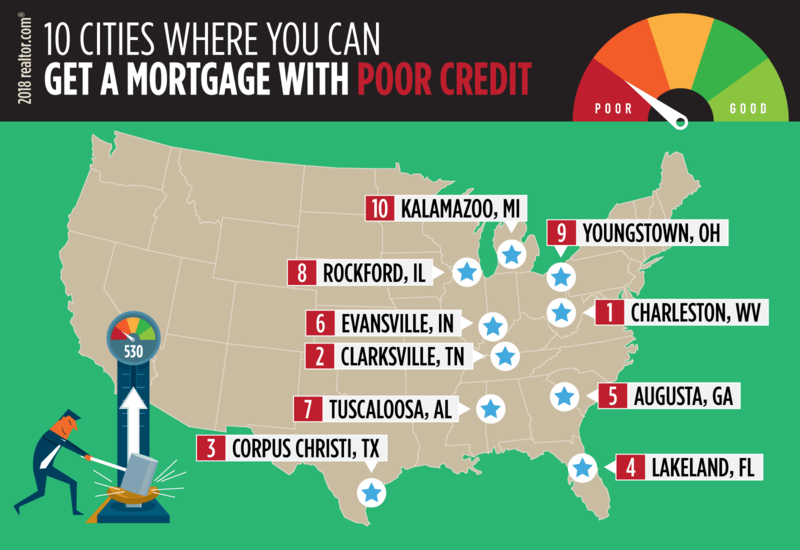 Rounding out the metros with the highest share of mortgage borrowers with poor credit are Evansville, IN (at 26.3%); Tuscaloosa, AL (at 25.2%); Rockford, IL (at 25%); Youngstown, OH (at 24.9%); and Kalamazoo, MI (at 24.4%). Got it? Now the bad news for those who dread logging onto Credit Karma: the housing markets where you need sterling credit just to compete. The market in Santa Cruz may not be quite as crazy as it is just over the hill in San Jose (where homes are a median list price of $998,000). But this Ferris wheel–graced beach town is still prohibitively expensive for many buyers, especially those with low credit. Those seeking mortgages are likely to need a jumbo loan—and thus a higher credit score and down payment. “You might be able to find a small two-bedroom, one-bath house here in the low $800,000s,” says real estate agent Bri Chmel of Live Love Santa Cruz. That’s if you’re very, very lucky. So buyers in this market, one of the sunniest spots along California’s northern coast, had better be ready to compete with all-cash offers from ultrawealthy, Silicon Valley techies. Best of luck with that. Wait, what? How did Fargo make it to this side of the list? It’s all about growth. 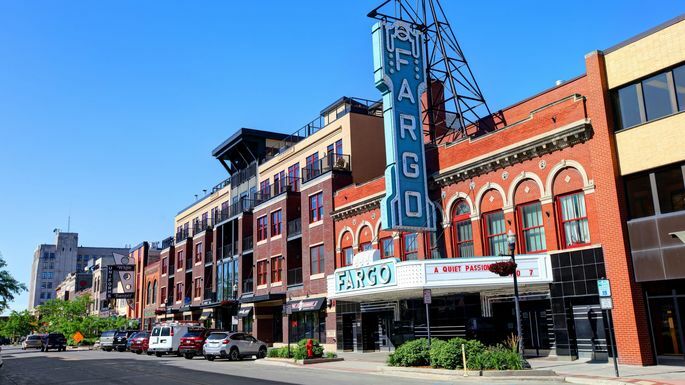 Set on the Great Plains on the western edge of the Red River, Fargo has a bustling job market that’s led to an influx of new residents in recent years. The population jumped 15.9% from 2010 to 2017, according to the U.S. Census. That’s led to a lot of folks competing for a limited number of abodes. Buyers are snapping up entry-level homes under $200,000 like seagulls stealing Cheez-Its on the beach. Because the market is so hot, sellers are passing over buyers who have a harder time getting a loan. Larger down payments and conventional loans (requiring a minimum 620 credit score) are usually needed to be considered for a contract. Seller’s agents are seeking pre-qualification letters that prove that buyers have already gone through all the steps to get approved by the bank. And when it comes to older homes, many sellers prefer to avoid FHA loans altogether to avoid the more stringent loan appraisal process. “Sellers here can be pickier about how they want their home financed,” says John Colvin, broker-owner of Century 21 FM Realty. Ann Arbor, home of the University of Michigan, is the quintessential college town, dotted with circa 1900 brick and wood-frame homes. In fact, it’s the most educated city in the United States, according to an analysis by WalletHub. That level of education correlates to above-average home prices, with $250,000 to $450,000 as the entry-level range. That high starting point and lack of inventory make it hard for buyers to get in unless they have the income and credit to qualify for a conventional loan. Every Tuesday, when James, the Urban Durham Realty owner, asks her 25 agents to raise a hand if they’ve put in or received offers on homes for their clients in the past week, almost all hands are in the air. When she asks those agents if they were involved in a multiple-offer situation, most hands remain raised. The university town, one point of North Carolina’s Research Triangle, is a hub for the biotech industry and boasts a thriving startup culture while remaining relatively affordable. Just 10 minutes away from downtown in Southwest Durham, buyers have been trying to outbid one another on classic midcentury, brick, ranch-style homes in the midrange market of $350,000 to $400,000. 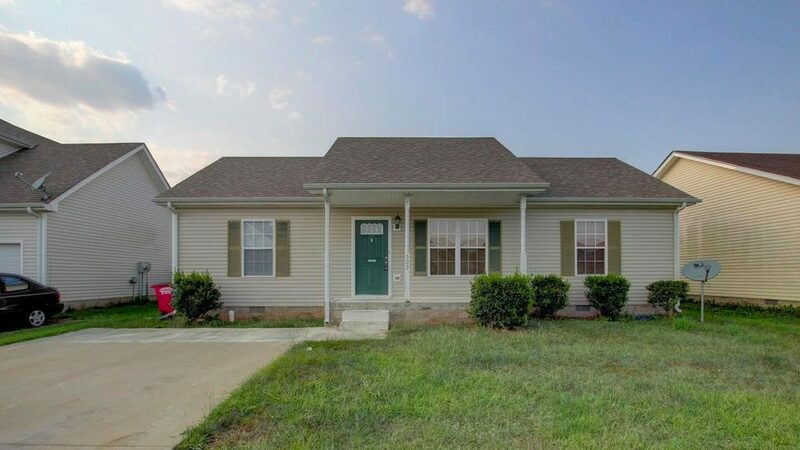 A bit farther out in more affordable North Durham, 10-year-old homes are going for about $250,000—if you can get an offer accepted. “There are not a lot of FHA loan deals,” says James. On the edge of the Flatiron Mountains, Boulder boasts beautiful panoramas befitting a Coors ad. 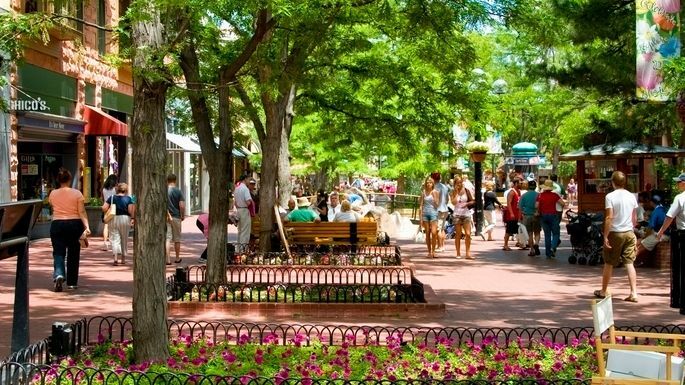 It regularly pops up on lists of the best places to live for its high quality of life, and plentiful gigs. These things just keep driving up the cost of real estate. Most buyers need to be able to meet the strict requirements and high credit scores for a jumbo loan. With a jumbo loan limit of $587,000, buyers need to have a hefty downpayment, too. This entry was posted in Armonk and tagged Armonk NY Real Estate, credit scores, Mortgages on October 2, 2018 by Robert Paul. Mortgage applications decreased 1.8 percent from one week earlier, according to data from the Mortgage Bankers Association’s (MBA) Weekly Mortgage Applications Survey for the week ending September 7, 2018. This week’s results include an adjustment for the Labor Day holiday. The Market Composite Index, a measure of mortgage loan application volume, decreased 1.8 percent on a seasonally adjusted basis from one week earlier. On an unadjusted basis, the Index decreased 13 percent compared with the previous week. The Refinance Index decreased six percent from the previous week to the lowest level since December 2000. The seasonally adjusted Purchase Index increased one percent from one week earlier. The unadjusted Purchase Index decreased 11 percent compared with the previous week and was four percent higher than the same week one year ago. The refinance share of mortgage activity decreased to 37.8 percent of total applications from 38.9 percent the previous week. The adjustable-rate mortgage (ARM) share of activity increased to 6.4 percent of total applications. The FHA share of total applications increased to 10.4 percent from 10.2 percent the week prior. The VA share of total applications increased to 10.5 percent from 10.0 percent the week prior. The USDA share of total applications remained unchanged at 0.8 percent from the week prior. The average contract interest rate for 30-year fixed-rate mortgages with conforming loan balances ($453,100 or less) increased to 4.84 percent from 4.80 percent, with points increasing to 0.46 from 0.43 (including the origination fee) for 80 percent loan-to-value ratio (LTV) loans. The effective rate increased from last week. The average contract interest rate for 30-year fixed-rate mortgages with jumbo loan balances (greater than $453,100) increased to 4.72 percent from 4.67 percent, with points increasing to 0.47 from 0.30 (including the origination fee) for 80 percent LTV loans. The effective rate increased from last week. The average contract interest rate for 30-year fixed-rate mortgages backed by the FHA increased to 4.84 percent from 4.79 percent, with points decreasing to 0.51 from 0.69 (including the origination fee) for 80 percent LTV loans. The effective rate decreased from last week. The average contract interest rate for 15-year fixed-rate mortgages increased to 4.28 percent from 4.23 percent, with points increasing to 0.47 from 0.45 (including the origination fee) for 80 percent LTV loans. The effective rate increased from last week. This entry was posted in Cross River NY and tagged Cross River NY Homes, Cross River NY Real Estate, Mortgages on September 13, 2018 by Robert Paul. Freddie Mac (OTCQB: FMCC) today released the results of its Primary Mortgage Market Survey® (PMMS®), showing average fixed mortgage rates moving higher for the fifth consecutive week. 30-year fixed-rate mortgage (FRM) averaged 4.08 percent with an average 0.5 point for the week ending December 1, 2016, up from last week when it averaged 4.03 percent. A year ago at this time, the 30-year FRM averaged 3.93 percent. 15-year FRM this week averaged 3.34 percent with an average 0.5 point, up from last week when it averaged 3.25 percent. A year ago at this time, the 15-year FRM averaged 3.16 percent. 5-year Treasury-indexed hybrid adjustable-rate mortgage (ARM) averaged 3.15 percent this week with an average 0.4 point, up from last week when it averaged 3.12 percent. A year ago, the 5-year ARM averaged 2.99 percent. This entry was posted in Bedford Hills and tagged Bedford Hills Luxury Homes, Bedford Hills NY Realtor, Mortgage rates, Mortgages on December 1, 2016 by Robert Paul. Freddie Mac (OTCQB: FMCC) today released the results of its Primary Mortgage Market Survey® (PMMS®), showing average fixed mortgage rates moving higher with the average 30-year fixed-rate mortgage topping 4 percent for the first time since 2015. 30-year fixed-rate mortgage (FRM) averaged 4.03 percent with an average 0.5 point for the week ending November 23, 2016, up from last week when it averaged 3.94 percent. A year ago at this time, the 30-year FRM averaged 3.95 percent. 15-year FRM this week averaged 3.25 percent with an average 0.5 point, up from last week when it averaged 3.14 percent. A year ago at this time, the 15-year FRM averaged 3.18 percent. 5-year Treasury-indexed hybrid adjustable-rate mortgage (ARM) averaged 3.12 percent this week with an average 0.4 point, up from last week when it averaged 3.07 percent. A year ago, the 5-year ARM averaged 3.01 percent. This entry was posted in Pound Ridge and tagged Mortgage rates, Mortgages, Pound Ridge Homes for Sale, Pound Ridge Real Estate, Pound Ridge Real Estate for Sale on November 23, 2016 by Robert Paul. Freddie Mac (OTCQB: FMCC) today released the results of its Primary Mortgage Market Survey® (PMMS®), showing average fixed mortgage rates moving higher. This entry was posted in Bedford and tagged Bedford Real Estate, Bedford Real Estate for Sale, Mortgage rates, Mortgages on November 10, 2016 by Robert Paul. Freddie Mac (OTCQB: FMCC) today released the results of its Primary Mortgage Market Survey® (PMMS®), showing the average 30-year fixed mortgage rate falling as the FOMC decided to leave short term rates unchanged. 30-year fixed-rate mortgage (FRM) averaged 3.42 percent with an average 0.5 point for the week ending September 29, 2016, down from last week when it averaged 3.48 percent. A year ago at this time, the 30-year FRM averaged 3.85 percent. 15-year FRM this week averaged 2.72 percent with an average 0.5 point, down from last week when it averaged 2.76 percent. A year ago at this time, the 15-year FRM averaged 3.07 percent. 5-year Treasury-indexed hybrid adjustable-rate mortgage (ARM) averaged 2.81 percent this week with an average 0.4 point, up from last week when it averaged 2.80 percent. A year ago, the 5-year ARM averaged 2.91 percent. This entry was posted in Katonah, Lewisboro and tagged Katonah Homes for Sale, Katonah Luxury Real Estate, Katonah Real Estate for Sale, Mortgage rates, Mortgages on September 29, 2016 by Robert Paul. Mortgage applications in the United States declined 7.3 percent in the week ended September 16th 2016 from the prior period, data from the Mortgage Bankers Association showed. It is the first fall in four weeks, following a 4.2 percent jump in the previous period. Refinance applications declined 7.6 percent and applications to purchase a home were down 6.8 percent. Average fixed 30-year mortgage rates increased 3bps to 3.7 percent, the highest rate in nearly three months. Mortgage Applications in the United States averaged 0.55 percent from 2007 until 2016, reaching an all time high of 49.10 percent in January of 2015 and a record low of -38.80 percent in January of 2009. Mortgage Applications in the United States is reported by the Mortgage Bankers Association of America. This entry was posted in Bedford Corners NY and tagged Bedford Corners NY Real Estate, Bedford Corners Real Estate for Sale, Mortgages on September 21, 2016 by Robert Paul. In its quarterly National Delinquency Survey, the Mortgage Bankers Association reported that 3.11% of 1-4 family mortgages were seriously delinquent in the second quarter of 2016. Measured on a not seasonally adjusted basis, the rate of serious delinquency, which includes both mortgages that are 90 or more days past due and mortgages in foreclosure, was 0.84 percentage point less than the 3.95% recorded in the second quarter of 2015. Since reaching a peak of 9.7% in the fourth quarter of 2009, the serious delinquency rate has experienced a steady decline. The current rate of serious delinquency was last seen in 2007. The decline in the overall serious delinquency rate partly reflects a falling rate on conventional mortgages. Conventional mortgages include both prime and subprime mortgages. In the fourth quarter of 2009, the share of conventional mortgages that were considered seriously delinquent reached its zenith at 9.8%. Since then, the proportion of conventional mortgages considered seriously delinquent has steadily fallen, reaching 2.9%. However, despite the long decline, the serious delinquency rate on conventional mortgages remains above its 2005-2006 average, 1.6%. The decrease in the serious delinquency rate overall also reflects a drop in the rate on FHA mortgages. Although the rate of serious delinquency on FHA-insured mortgages also peaked in the fourth quarter of 2009, it did not begin to record a sustained decline until 2012. As of the second quarter of 2016, the serious delinquency rate on government mortgages was 4.4%, 1.5 percentage points greater than the serious delinquency rate on conventional mortgages. Although the serious delinquency rate on FHA-insured mortgages is higher than the rate on conventional mortgage, it is lower than its average level between 2005 and 2008. The serious delinquency rate has been dropping partly because the number of new 90 or more day delinquent mortgages has also been falling. 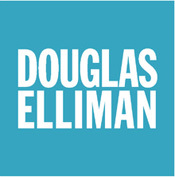 According to the most recent version of the Federal Housing Administration’sSingle-family Loan Performance Trends, the number of new 90 or more day delinquencies has been falling since 2012, largely reflecting a decrease in the number of new delinquencies 90 or more days because of unemployment or income reduction. As illustrated by Figure 2 below, in fiscal year 2012, approximately 233,000 of the roughly 500,000 loans that were delinquent 90 or more days reached that stage because the borrower experienced unemployment or an income reduction*. By 2015, the number of new FHA-insured mortgages that were 90 or more days delinquent fell to 136,000. Meanwhile, the number of FHA loans delinquent 90 or more days due to excessive obligations, the second largest category, fell by 15% between 2012 and 2015, but number of these delinquencies in each year between 2013 and 2015 has remained near its 2011 level. The decline in the new number of borrowers delinquent 90 or more days due to unemployment or income reduction over the 2012 to 2015 time period accounted for 65% of the total decrease in the number of new FHA-insured mortgages 90 or more days delinquent over this same period. * This document from the Department of Housing and Urban Development provides definitions of each category. Unemployment – The delinquency is attributable to a reduction in income resulting from the principal mortgagor having lost his or her job. Income Reduction – The delinquency is attributable to a reduction in the mortgagor’s income, such as a garnishment of wages, a change to a lower paying job, reduced commissions or overtime pay, loss of a part-time job, etc. Death of Principal Borrower – The delinquency is attributable to the death of the principal mortgagor. Illness of Principal Borrower – The delinquency is attributable to a prolonged illness that keeps the principal mortgagor from working and generating income. Excessive Obligations – The delinquency is attributable to the mortgagors(s) having incurred excessive debts (either in a single instance or as a matter of habit) that prevent him or her from making payments on both those debts and the mortgage debt. No Contact – Should be used rarely for any 90 day or more delinquency. Indicates that the reason for delinquency cannot be ascertained because the mortgagor cannot be located or has not responded to the servicer’s inquiries. This entry was posted in Bedford, Westchester NY and tagged Bedford NY Real Estate for sale, Mortgages, Westchester Luxury Real Estate on September 17, 2016 by Robert Paul.